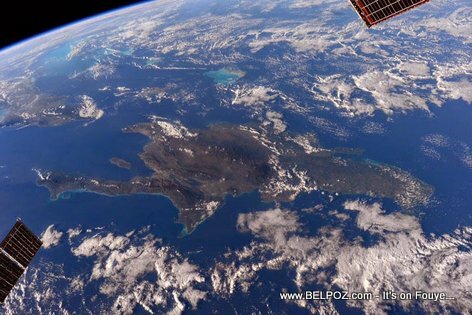 Look at this photo... A view of Haiti and the Dominican Republic from Space... This photo taken by astronaut Terry W. Virts @AstroTerry from the International Space Station on 8 Jan 2015... Is this cool or what??? The entire island is your? Very Nice picture the dark spots are all oils that is why if there is Civil war after January 12,2015.